One of the biggest questions I get when I’m selling Sea-Doo is the Closed loop and Open loop cooling debate. Which one is better? Does this require more maintenance? My buddy says that _____. You get the idea. I’m hoping to shine a little light on this debate and hopefully help you decide on which one you think is better. There use to be a time when everyone used the open loop cooling system, even Sea Doo. Back when Sea Doo made 2-stroke jet ski’s it was normal for that ski to be cooled by the lake or ocean. Then in 2002 Sea Doo released the 4-Tec engine which is a 4 stroke engine that has a closed loop cooling system to it. So this is really where the debate begins for the closed loop vs open loop for jet skis. The way open loop cooling works (found on Yamaha and Kawasaki) is that it takes in lake or ocean water to cool the engine. Your engine needs to be cooled or it will run so hot that the metal could fuse and stop the engine. There is another option to cool the engine, air-cooled, but the problem with this is that you don’t get much airflow in the engine compartment of a watercraft. The air-cooled engine works great for lawn mowers but not so great for a jet ski. Using lake water to cool the engine is a great idea, unlimited cooling supply for the engine. It’s also a little simpler since its just sucking in the water that’s around it. The biggest problem with open loop is that it’s sucking in water that’s around it. So if you’re riding in the ocean you’re sucking in salt water which is very corrosive to the engine. Riding in the ocean requires you to flush the engine more often. That once easy to maintain open loop system gets an extra step to make sure your engine doesn’t corrode. The water that goes into the engine goes around the cylinder walls to cool the engine and since the engine is made of metal the salt in the water will slowly corrode the engine from the inside. The corroding from the inside out is lowered when you ride in a lake or river since it doesn’t have much salt to it. But lakes and rivers still have corrosive minerals in the water that still can corrode the engine. Don’t panic, when I say corrode it can take years to see any effect. Also since the open loop system takes in water to cool the engine you also have to worry about winterizing the engine block. When water freezes it expands and can expand enough to break metal. With an open loop you just have to be cautious when freezing weather comes as to make sure the engine block won’t freeze and damage the engine. One last thing about open loop cooling is that it not only takes in water but also whatever is in that water. So all that pollen, sticks, leaves, and whatever else is in the water will also be pulled into the cooling system. Just like how arteries can get clogged when you put junk into your body so can your jet ski cooling system get clogged when you run in dirty water. A clogged cooling system can mean the engine will run hotter and have to work harder. Closed-loop cooling system (Sea-Doo ONLY) works much the same as an open loop system but instead of having water flow into the engine to cool it, antifreeze is used instead. The antifreeze is circulated through the engine than to a ride plate. The ride plate is just a heat exchanger or a radiator that converts the hot antifreeze into cool antifreeze. The way the ride plate works is that it allows the antifreeze to circle around in the plate. While circling around, the antifreeze is being cooled by colder water touching the ride plate. The heat transfers from the antifreeze to the ride plate and is carried off to the water. Colder antifreeze is pumped back to the engine to cool it. 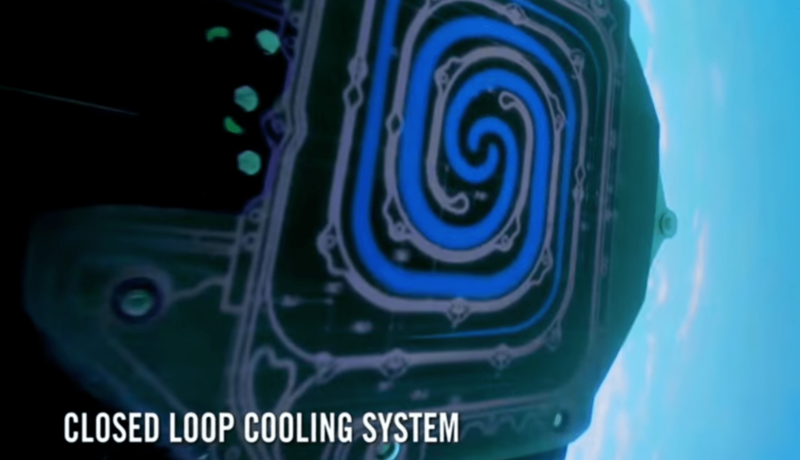 Now you might be thinking how reliable is this closed loop cooling system? It’s so reliable that all modern cars, planes, and even trains use it! Yes, the car you drive into work uses the exact same system as a Sea-Doo watercraft use. So if your car uses it why wouldn’t your jet ski? On top of all that since its a closed system, you won’t take in any corrosive water. Since you don’t have anything eating away at the engine block of a Sea-Doo you could have the engine last much longer. Also since you don’t have water near the engine winterizing is even easier. No need to flush the engine on a Sea-Doo since it is completely sealed up. But there is one drawback! The engine is completely sealed up but the exhaust and intercooler are still cooled by water and they will need to be flushed out for winter. One big perk with the closed loop cooling system is that it can be controlled to keep the engine at a perfect temperature at all times. Where the open loop system can not. So if it’s extra hot that day the water will be extra warm too. Warmer water for an open loop system means the engine runs warmer which relates to you burning more gas and do more damage in the long run to the engine. Due to the nature of a closed loop system, warmer days have no effect on the engine. To sum it all up I’ve listed below the pluses and minuses of both. Plus – Simple older technology that seems to be still very common in boats. Minus – Takes in corrosive water and debris that could clog the engines cooling system. You must winterize the engine block. Plus – Don’t have to worry about corrosion on the engine block or debris clogging the engine. The same system that your car uses. Don’t have to flush the engine block since it never sees water. Minus – The exhaust and intercooler need to be flush when winterizing. Won’t the exhaust and intercooler corrode if not flushed during normal use? They could corrode if used in constant salt water without being flushed, but it would take a long time. Those components are made of aluminum and corrosion is not quick with aluminum. Only Sea-Doo’s with superchargers (over 155hp) have intercoolers. The exhaust is an aluminum water tank and the 2 reasons why it takes water in is to cool the exhaust and to muffle it. Does that mean that I should be able to dock my Scarab 165 in the marina (keep it in the water) without taking it out of the water to flush it regularly? It is salt water. Then engine uses coolant to keep it cool but the exhaust takes in ocean/lake water to cool and muffle it. If you have a supercharged model then the intercooler does take in ocean/lake water to cool that. It would be best to side on caution and flush it regularly. If you can look into dry storage or the docks that lift the boat out of the water to keep algae and scum from building up under any boat too. Thanks for all the info on open/closed, it has been helpful. I have a 2006 215 up supercharged sea doo sportster, I have been trying to determine if the supercharger has lake water in it, or if there is.a separate cooler for it…it appeaappears to use antifreeze? Any comments? Supercharged Jet Ski engines take in lake or ocean water to cool the intercooler. So your Supercharged Sportster takes in lake water for the intercooler. Open loop systems for boats still have a thermostat to control water flow for optimum engine running temperature. Any 4-stroke Sea-Doo is closed loop cooling and everything else is open loop. Steven, I enjoyed the article, but I think you are missing a big point. Open loop systems are used by manufacturers of marine-specific engines. Even BRP’s own Evinrude uses an open loop system in all of their motors because they are marine-specific. Sea-Doo uses closed loop because they have to. They use the same Rotax engines that their Can-Am 4-wheelers, and Ski-Doo snow mobiles use. You will see that Mercury and Volvo inboard/outboard motors are closed loop because they are designed using car motor blocks. Mercury outboards use open loop because they are designed for marine use. Something like 80-90% of saltwater outboard boats use Yamaha motors. Closed loop systems are significantly more complex, harder to winterize, and harder to service. So, the choice is between Ski-Doo with a complex motor that was modified for marine use or a Yamaha, whose motor that was designed exclusively for marine use. Ask any saltwater off-shore fisherman and they will tell you to buy Yamaha. Actually, the Sea-Doo 4-tec engines are vastly different than what’s in a Can-Am. For instance, the Can-Am ATV uses a V-Twin and the Sea-Doo uses an in-line 3 cylinder. Only the Sea-Doo Spark uses the same engine block that can be found in a snowmobile, but the same thing can be said about Yamaha and Kawasaki too. Yamaha and Kawasaki have been known to repurpose motorcycle engines for there jet skis. For example, the Yamaha MR1 is the R1 motorcycle engine and the Kawasaki Ultras are based off the ZX12 engine. Mercury also uses a Chevy Engine block for there inboards/outboards, which many use the open loop cooling. You can buy these engines with closed loop cooling systems but many don’t unless you keep it in salt water all the time. The Sea-Doo 4-tec is about the only marine purpose engine on the market along with Yamaha TR-1, these engines were not repurposed. 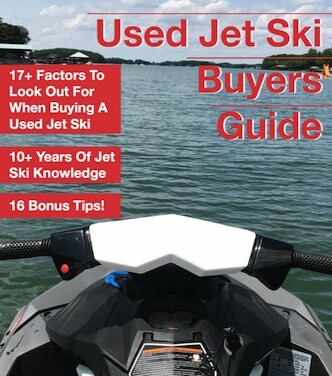 When it comes to jet skis the maintenance required for closed loop is not complex. The service intervals are much longer and the average person never even has the jet ski long enough to get those points. It’s like your car, you change the oil more often but the coolant gets changed in much longer intervals (some people never even change it especially if they have the high mileage coolant that Sea-Doo started using years ago). For winterizing its not more complex since it’s already got anti-freeze in it. When it comes to outboards, I agree that open loop is the way to go because of how it drains and the weight constraints. And Yamaha makes some of the best outboards on the market, I can’t argue that. But for jet skis, I’ve found closed loop works better for the average owner. Your articles are awesome. Thank you. I am looking for a new PWC. First time buyer. Long-term reliability is a major issue for me. In your view, are the Sea-Doo normally aspirated engines (e.g., GTI 130) very reliable? I consider the 130HP and 155HP engines from Sea-Doo to be one of their best ever engines made. They had a rough start when they came out in 2002 but from 2004 on they’ve been rock solid in my personal experiences. why do you start the engine before turning on the hose? is it because water will flow from the muffler into the exhaust ports on the block? someone told me to blow it out through the hose connection to winterize it but wouldn’t that blow water from the muffler into the block? Thanks- this thread is great and very educational. Yes, not having the engine on when you turn on the water hose will fill up the exhaust and that will then dump into the cylinders. Since there is not a good place for the water to go when you try to turn on the engine you could bend a rod and blow the engine. 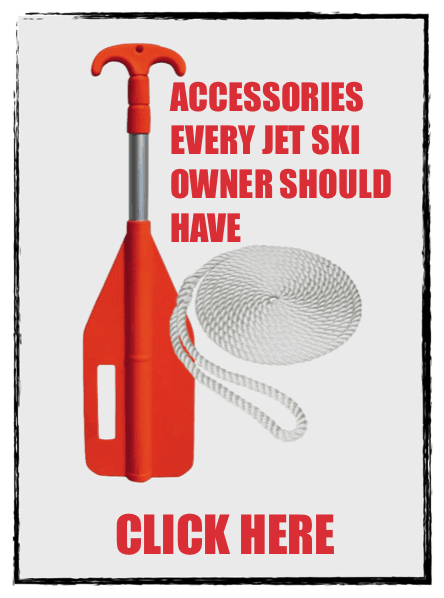 Jet skis have a flush adaptor somewhere that you hook up a hose to. This connection can also be used to winterize or flush it with marine anti-freeze. Many of the owner’s manuals say to use compressed air to blow it out but I like to use Marine Anti-Freeze to winterize my stuff. I turn on the engine, grab my funnel and hose and I pour in a gallon of the pink RV/Marine Anti-Freeze in. I remove the hose and short burst rev the engine to get out the extra anti-freeze. Why doesn’t blowing it out with air force the water into the block? After I did the air and thinking about it I looked into the cylinder and oil and didn’t see signs of water when I fogged it. Should I be concerned at this point? Next year I will take your anti freeze suggestion, it sounds like a better way. No need to worry, most owners manuals recommend to do compressed air. I do the RV Anti-freeze because it’s easy to do.